Vertex ORKAMBI® (lumacaftor/ivacaftor) is a prescription medicine used for the treatment of cystic fibrosis (CF) in patients age 12 years and older who have two copies of the F508del mutation (F508del/F508del) in their CFTR gene. ORKAMBI® packaging offers a number of compliance prompting features for patients. 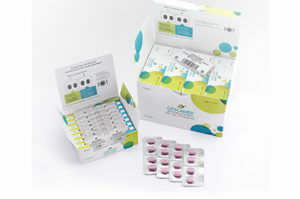 ORKAMBI® is provided in convenient daily blister units, with graphics clearly highlighting the AM and PM dosing requirements. Individual blister units are file packed into a weekly organizer carton, with individual days neatly arranged to illustrate the daily regimen. Dosing instructions are positioned to educate the patient, reminding patients to take the AM and PM doses 12 hours apart and to take their medicine with fat containing foods. Four weekly packs are provided in an outer monthly carton, which contains graphics that further reinforce dosing instructions as well as the FDA-approved labelling. A calendared blister, clearly labeled by day on each individual pill cavity, highlighting the 4 week dosing regimen. Visual cues prompt medication taking and tracking. 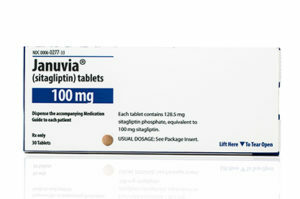 “WestRock and Merck partnered to design the Januvia package to help diabetes patients adhere to their medication,” said John Grinnell, VP, Sales, Health, Beauty, & Adherence, WestRock. Packaging is the one tool that stays with the patient throughout the medication journey, making it uniquely effective in providing regimen support.”The Januvia package builds on Westrock’s legacy of designing medication packaging that’s proven to enhance adherence, with adherence packaging shown to achieve an 80% Proportion of Days Covered with up to 37% more patients versus standard pharmacy vials. Prescription Afrezza® is a rapid acting inhaled insulin breathed through your lungs and is used to control high blood sugar in adults with type 1 and type 2 diabetes. Taken at the start of a meal using a specially designed inhaler, Afrezza dissolves rapidly upon inhalation to the deep lung and delivers insulin quickly to the bloodstream. Peak insulin levels are achieved within 12 to 15 minutes of use and help to control post-meal blood sugar spikes that affect HbA1C levels. Afrezza® is provided to patients in color coded prefilled cartridges. Individual cartridges are blister packed in quantities of 15 based on a color coding system to indicate the strength. Four (4) unit strength cartridges are blue, eight(8) unit strength cartridges are green, and twelve (12) unit strength cartridges are yellow. Anindication of each cartridge strength is also molded in the plastic of the individual cartridge. Two (2) 15 count cartridge blisters are provided in an overwrapped pouch. The pouched unit reinforces the color coding methodology by utilizing the drug strength colors in the package graphics, in addition to providing detailed instructions for refrigeration of the product as well as equilibration requirements prior to dosing, bringing the product up to room temperature. Additionally, the pouch graphics identify that once a blister strip is opened to access the cartridges, they must be used within 72 hours. Also provided to the patient are two prewrapped inhalers in a prepackaged carton, protecting the inhaler from dust, particulate, etc. Carton artwork provides detailed dosing instructions, a color coded dosing chart based on the number of units needed per dose, as well as a calendar to guide the patient in timely replacement of the disposable inhaler unit. The carton also reinforces the storage requirements for Afrezza®. The individual pouches and inhaler carton are combined with regulatory literature in the dispensing carton. 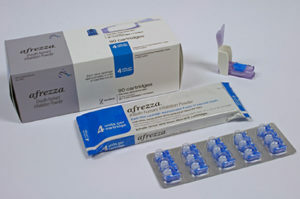 Package graphics highlight the www.AFREZZA.com website, where patients can find additional resources including videos, storage and dosing instructions, prescription savings information, and social support for patients, as well as other resources.